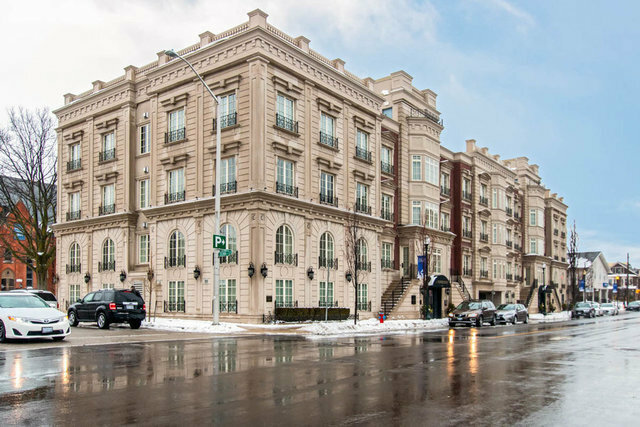 Rare opportunity in the Exclusive Executive “Coventry,” a luxurious boutique condominium located in Prestigious Downtown Oakville. Semi-Private elevator access to the suite which boasts coffered ceilings, Downs view kitchen, Custom Pantry, Paneled Subzero fridge and Wolf Appliances and Miele Dishwasher. Generous size open concept Kitchen/Living/Dining rooms. Spectacular size bedrooms, en-suites w/walk-in showers, radiant floor heating in master en-suite. Private outdoor terrace with double-sided gas fireplace, 2 heated underground parking spots, locker, Roof top Terrace. Outdoor enthusiasts will appreciate being walking distance to the Lake, harbor, fine dining establishments, trendy boutiques, cafes and numerous parks located throughout Old Oakville.